Moose as a part of European Wilderness! The moose is the largest extant species in the deer family. Moose is a native species in Northern and partially also in Central Europe. It continuous areal covers Norway, Sweden, Finland, Russia, baltic states, Belorussia, Poland and northern part of Ukraine. Small isolated populations had even been register in Austria a long time ago. Still existing scattered isolated populations can be found in the Czech Republic and Germany. Solitary individuals can also be found in Romania, Hungary and in Slovakia. The Moose is a large herbivore and was hunted for centuries. Today it is still a very attractive hunting game particularly in the northern and Scandinavian countries for trophy and venison supply. This is also true in Poland. Situation is different particularly in the countries where moose is not so common, or almost extinct. In the countries like Czech Republic or Slovakia its presence is very sporadic not only because it is pretty much at the edge of his current distribution in Europe but also very much due to illegal hunting. 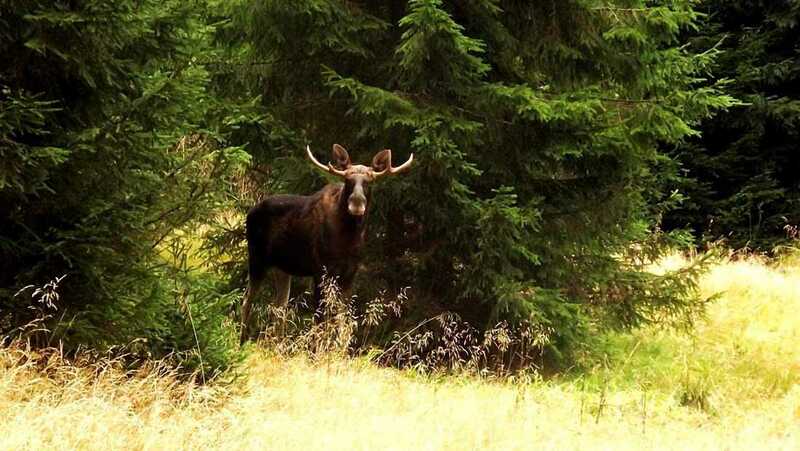 Slovakia recently has made a significant step to improve the situation with a conceptional approach and developed a pretty comprehensive restoration programme of moose (Alces alces) in 2014. This document provides a strategical complex assessment of this animal with detailed description of previous achievements and also a definite set of recommendations to stabilise the very fragile population of this species in Slovakia. The strategical objective of this document is to achieve favourable moose population in Slovakia, to create solid micro population of this animal, particularly at the edge of his current distribution. Not less important objective is to improve condition for moose migration (e.g. to eliminate barrier of moose migration). Will Slovakia continue wolf killing? Please use the correct term! In Eurasia, Alces Alces is elk. In north America is is called moose. Confusingly, in north America elk is the name given to Cervus canadensis. Maybe over time we will all eventually call our elk a moose – the influence of American journals is very strong in Europe. Seasons greetings and keep up the good work!